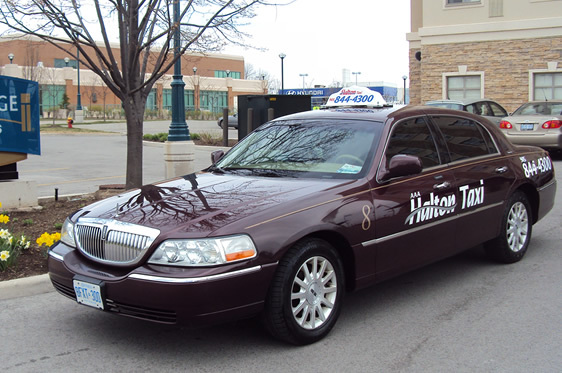 AAA Halton Taxi has become an iconic part of the Oakville streets today. From its inception in 1972 to the present, AAA Halton Taxi has been proud to offer the traveling public of Oakville the highest levels of professional customer service. With one of the city's largest fleet, you can be guaranteed that there will always be a taxi available in your area, for the quickest possible service 24 hours a day! Numerous businesses fall short to identify the importance of selecting an appropriate taxi company; maybe, because mainly brokerages appear to be the same (a cab is a cab). Because the taxi industry is regulated by the Town, all Oakville cabs have the same meter costs. However, the quality of service does vary significantly from brokerage to brokerage. At AAA Halton Taxi we recognize the vital needs of our corporate clientele – from the prompt delivery of 'rush' parcels, to the safe and comfortable transport of employees and executives alike. The true value of professionalism should never be underestimated. Our track record speaks for itself: the loyalty and respect of our customers is our best possible advertisement, it’s why we have been in business since 1972! Regardless of your destination — be it out of town, around the corner or to the airport — or whether you need an urgent parcel delivered - you can rely on AAA Halton Taxi to fulfill all your transportation needs. 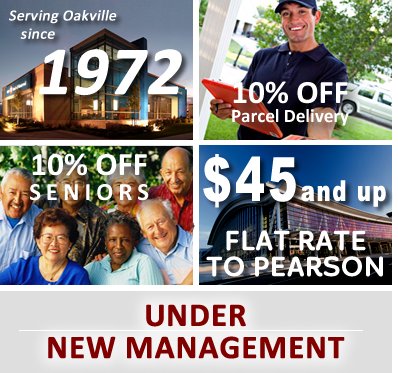 As "Oakville’s first choice for Business or Leisure" we offer personalized service, unlimited advance bookings, luxury vehicles and wheelchair accessible vans. With a solid team of professionals, AAA Halton Taxi is proud to be the taxi company of your choice!